Bringing all the fun of the circus, with a twist of education, into an action packed, joy filled and playful activity. We'll do our best to tailor something to suit your event and budget. Curley Wurley had a great time playing in Hillsborough Park celebrating the end of a great summer of sport and community. 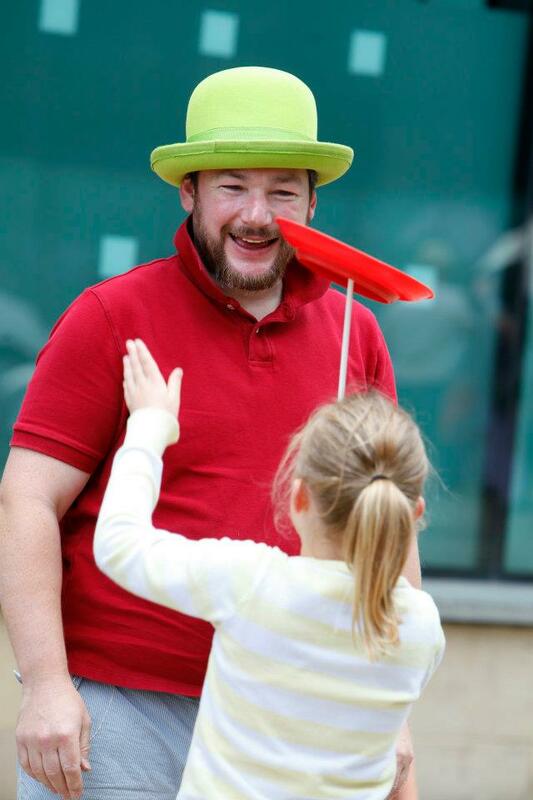 Curley Wurley and Magic Adie will be playing at the 2012 One Sheffield Many Cultures Event. This is a free Festival for all the family, 12pm - 4pm on Saturday 19th May at Barkers Pool, outside the City Hall, Sheffield.